24 975 386 visitors here since April 1997. 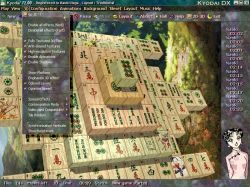 Cyna Games > What is Kyodai Mahjongg? 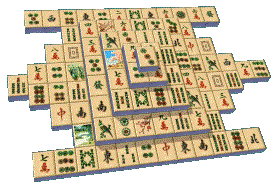 I've always been a Mahjongg Solitaire fan. 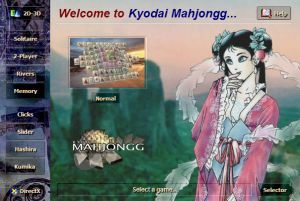 Kyôdai Mahjongg was born on March 1st, 1997. I hope you will like it too! * The gamextazy.com website has apparently been sold to another company which has remade it from scratch, and the review was removed in the process. You can find other reviews (while the websites last!) here. Credits. Page built in 0.1092s (MySQL - 0.0116s).